This past summer our family set off on a 3 week trip that would take us to Grand Canyon National Park, Bryce Canyon National Park, and Zion National Park. 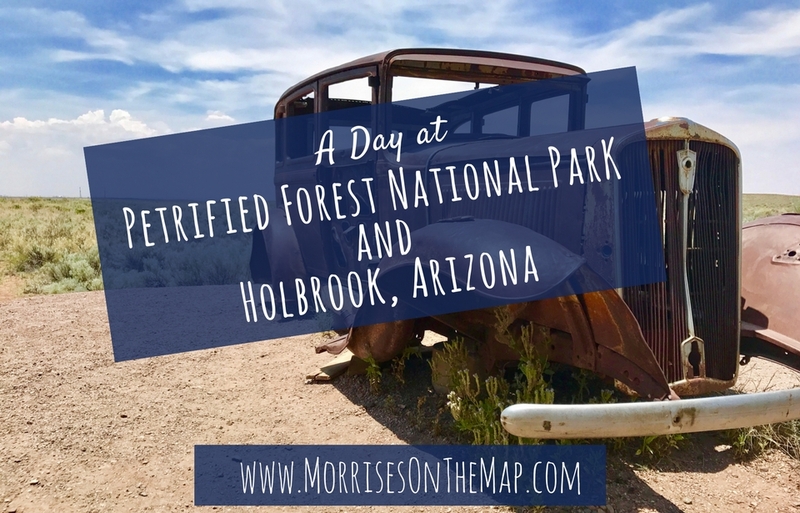 When I started researching the route we would take to get to these parks, I realized we would be driving down Route 66 and right past Petrified Forest National Park. Since we are on a quest to visit all of the National Parks we could not pass up the opportunity to visit the park. Petrified Forest is a park that you could easily just drive through and make a stop or two, but we decided to spend an entire day exploring the area. 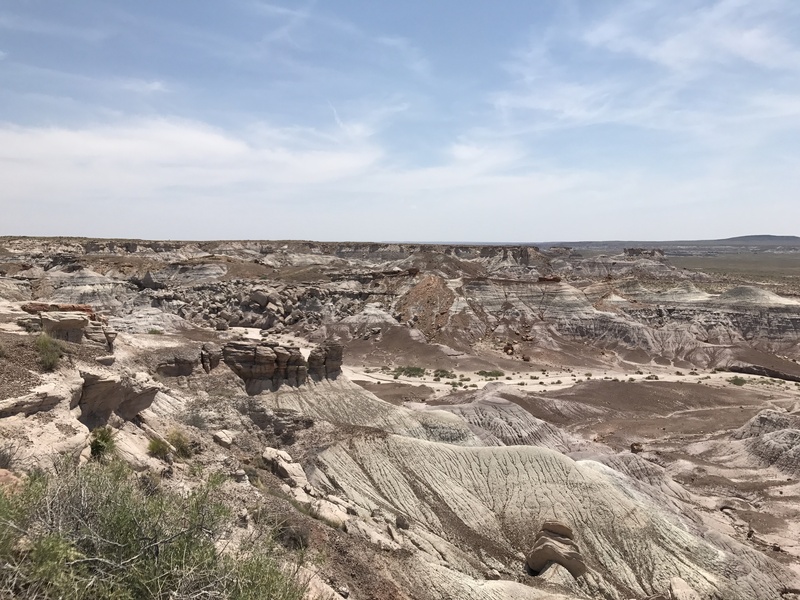 We spent one evening exploring Holbrook and a full day exploring Petrified Forest. You may think spending just a day in a National Park is not sufficient, which we were concerned about as well, but after our visit we left feeling like we had seen everything we wanted to see. 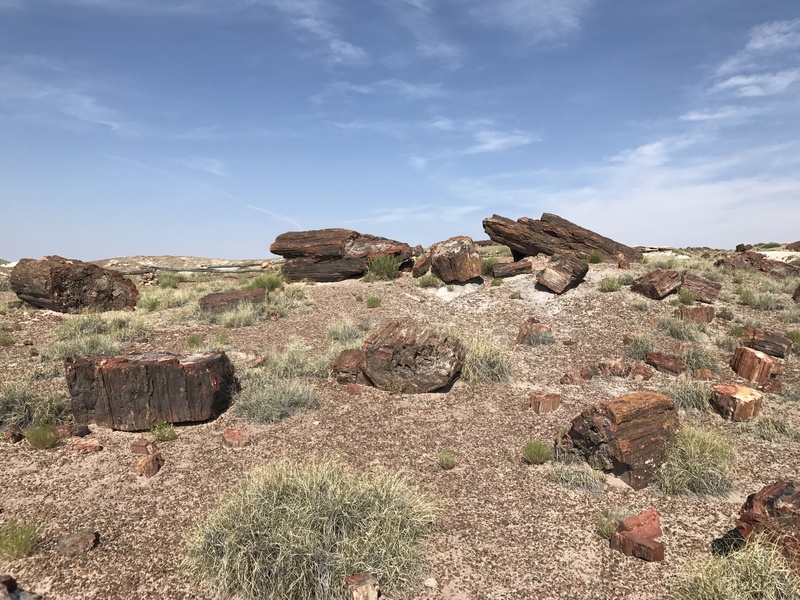 Holbrook is the closest city to both entrances of Petrified Forest National Park. We chose to stay at Petrified Forest/Holbrook KOA. If you are looking for a quiet and convenient place to park your RV this is a great place to spend a few nights. After setting up, we set out to explore the town. This quintessential Route 66 town has a few must sees when visiting. Our first stop was a small park on the corner of Navajo Boulevard and Route 66. This park has several Route 66 picture opportunities. What caught our eye that night, was a group of Native Americans that were performing traditional dances for tourists. 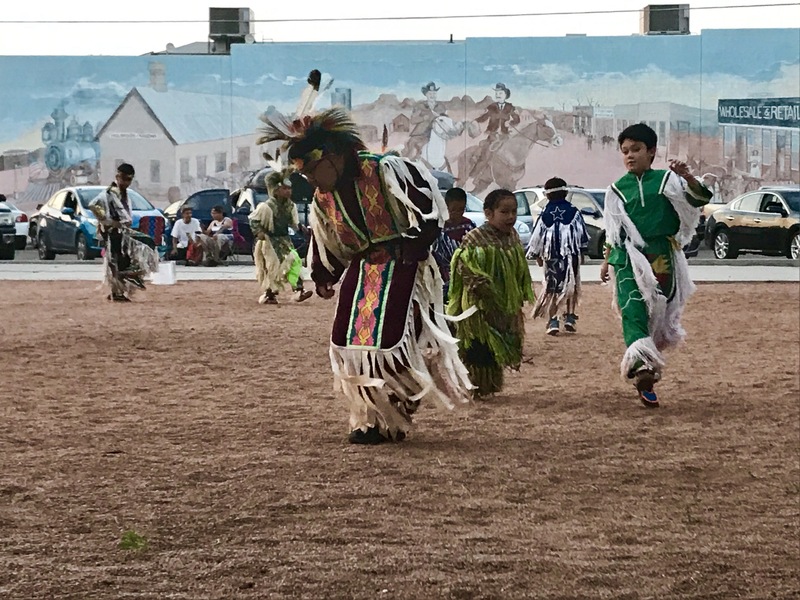 This impromptu stop was enjoyed by all of us and we took it the beautiful colors and intricate moves of the traditional dances. Even if the dancers are not performing when you visit, a stop at this little park to take a few Route 66 pictures is a must. Note: This post contains affiliate links. If you make a purchase through one of these links, we will get a small compensation at no extra charge to you.  We appreciate your support of Morrises On the Map! If you have ever seen the Disney movie “Car’s,” which my family has (a time or a thousand), the next place to visit in Holbrook is a must. In the movie the Cozy Cone Motel is based on the Wigwam Motel that can be found on Historic Route 66 in Holbrook. Built in 1950 by Chester Lewis, the motel consists of 15 tepees that were mistakenly called wigwams. In the parking lot and in front of the office you can find vintage automobiles from the 1960’s and earlier. The hotel was added to the National Register of Historic Places in 2002. 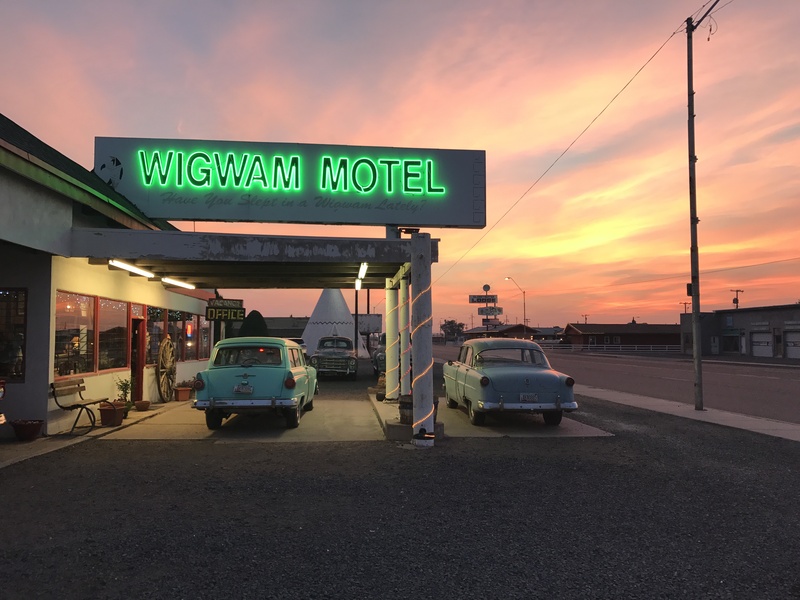 If you are looking for an interesting place to lay your head for the night, the Wigwam Motel is still fully operational. When visiting you can enter the registration office and visit a room full of Chester Lewis’ memorabilia. We visited the Motel at sunset on a June evening and were gifted with a beautiful sunset that allowed us to get some amazing pictures of the Motel. 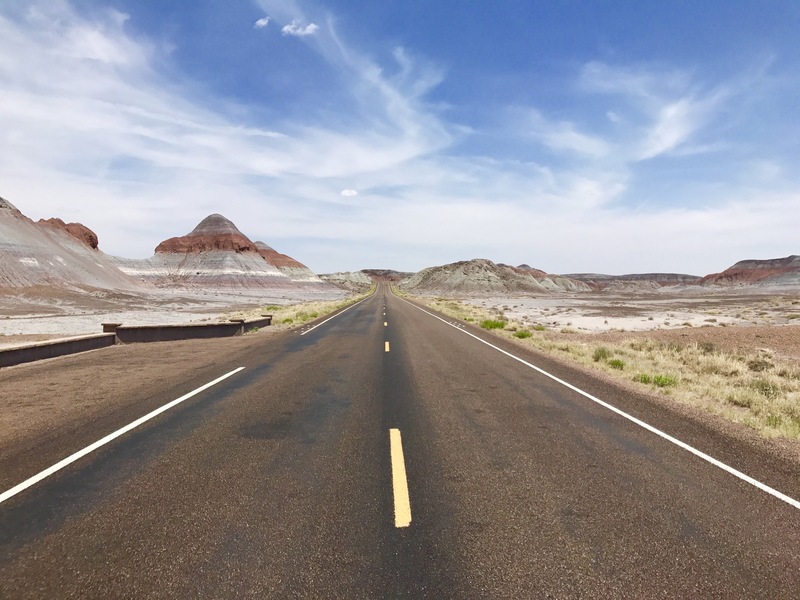 Getting around Petrified Forest National Park is fairly easy, considering there is one main park road that runs between Hwy 180 and IH40. All of the stops within the park will be found along this road or just off of it. You can start your day at either the south our north entrance of the park. We chose to start our day at the south entrance of the park, which can be reached in about 30 minutes from Holbrook by driving down Hwy 80. Once you enter the park there are several stops you can make and hikes you can take along the 28 mile park road. At each entrance to the park there is a visitor center or museum. At the south entrance you will find the Rainbow Forest Museum. Here you can find information about the park, a short movie and details about how the trees were petrified. This is a great place to have your National Park Passports stamped and pick up Junior Ranger books. Behind the museum you can go on the Giant Logs Trail. 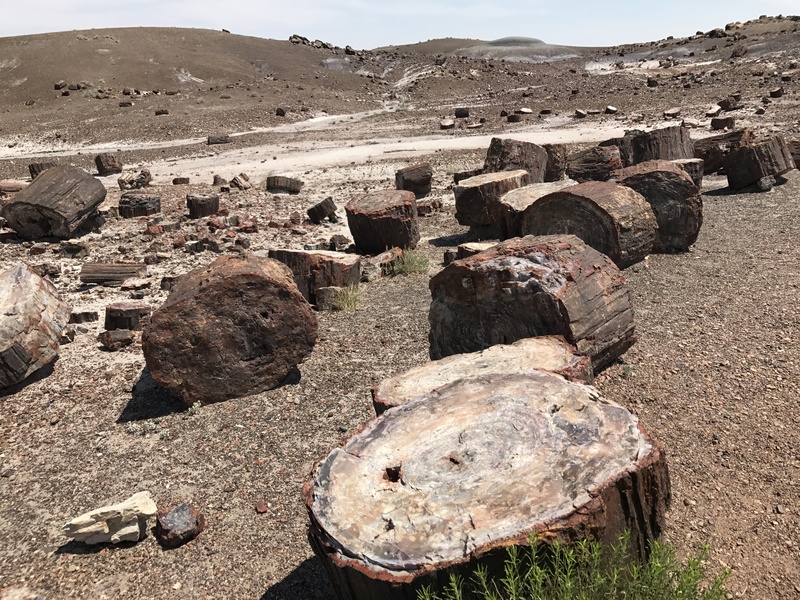 This 0.4 mile loop leads you past some of the largest petrified logs in the park and is a great introduction to the park. After taking the short hike you can walk across the parking lot to a gift shop. Here you can pick up some souvenirs, as well as take the time to cool off if needed. Further up the road you can stop and take the Crystal Forest trail. This 0.75 mile paved trail brings you through a forest of colorful petrified logs. When you read the word forest, you are expecting to have a canopy of trees shading you along the path, but this is not the case. The trees here have been gone for millions of years and all that remains are petrified logs. So do not expect to have much shade on this trail. If you are visiting in the summer months my suggestion is to arrive at the park early, wear hats and bring lots of water. A quick stop along your drive through the park will be at Agate Bridge. The bridge can be found just off the park road and is just a short walk from the parking lot. 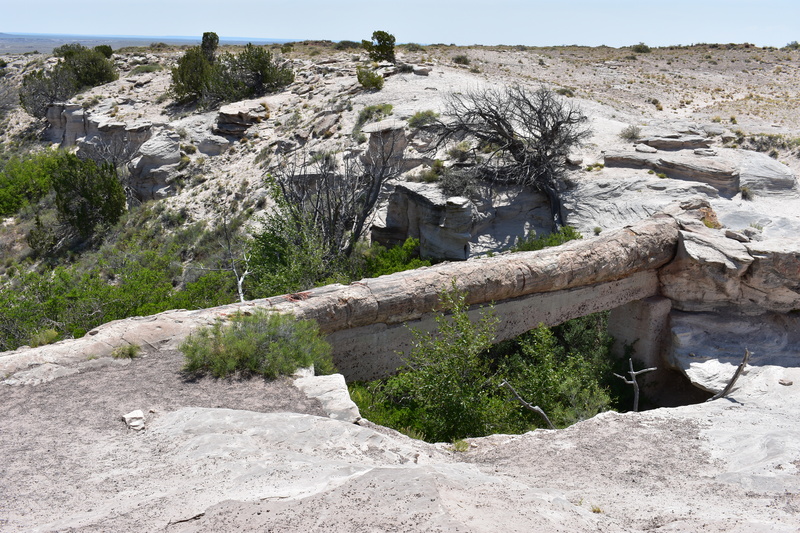 From a shaded cover you can take a look at the 110 ft long petrified log bridge. This 3.5 mile loop drive takes you off the main park road and offers many beautiful photo opportunities. It is amazing how many colors you see along this drive. There is a 1 mile trail that enters the badlands found along the loop. The trail is steep and does not provide any shade. Do to the heat the day we visited the park, we chose not to take this trail, but if we ever return it is on our list. Just off the main park road you will find Newspaper Rock. The rock can be seen from a viewing area just off the parking lot. 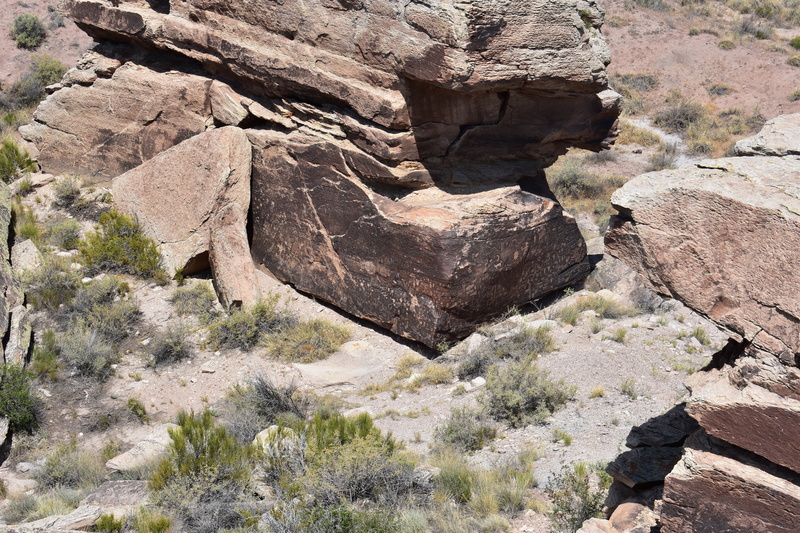 This stop was a favorite of my history loving crew, because on the rock you can see over 650 petroglyphs. Binoculars come in handy when trying to see the petroglyphs. Trying to interpret what the petroglyphs meant provided us with lots of laughs. As you cross IH 40 going toward the North entrance to the park, you come across a 1932 Studebaker sitting abandoned on the side of the road. This marks the place where historic Route 66 once led visitors through the park. There is very little evidence left of the original road, but if you look in the distance you can still see old telephone poles that ran along the highway. There are several Painted Desert Overlooks that provide a beautiful view of the painted desert and the mountains beyond. One of our favorite stops was at the Painted Desert Inn. The Inn once provided lodging for those driving along Route 66 and inside you will find several exhibits that share the history of the inn. 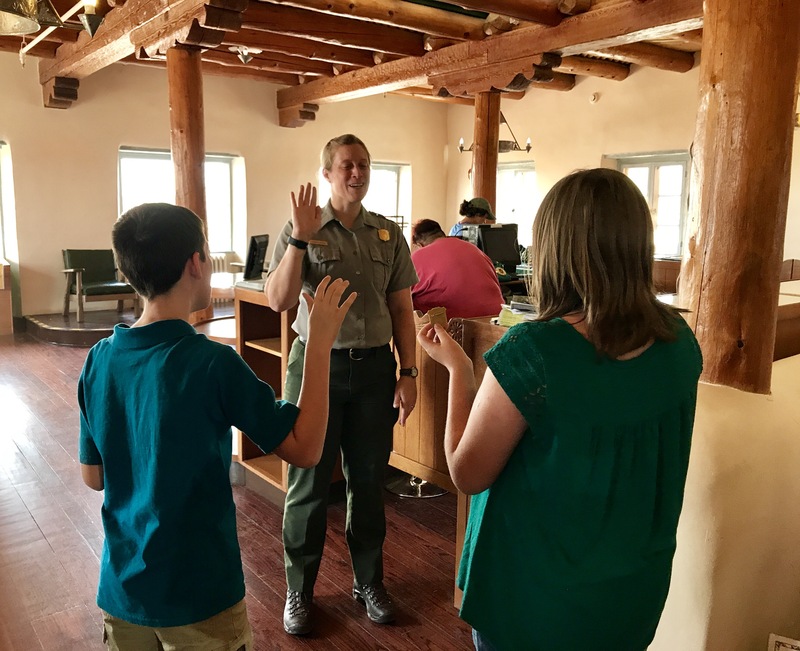 If your kids picked up Junior Ranger packets earlier in the day, they can be turned in at the Inn or at the Visitor Center. We did not stop at the Painted Desert Visitor Center, but if you do stop you can view a film, find food and visit a gift shop. Once we left the park, it is just a 25 minute drive down IH 40 to get back to Holebrook. 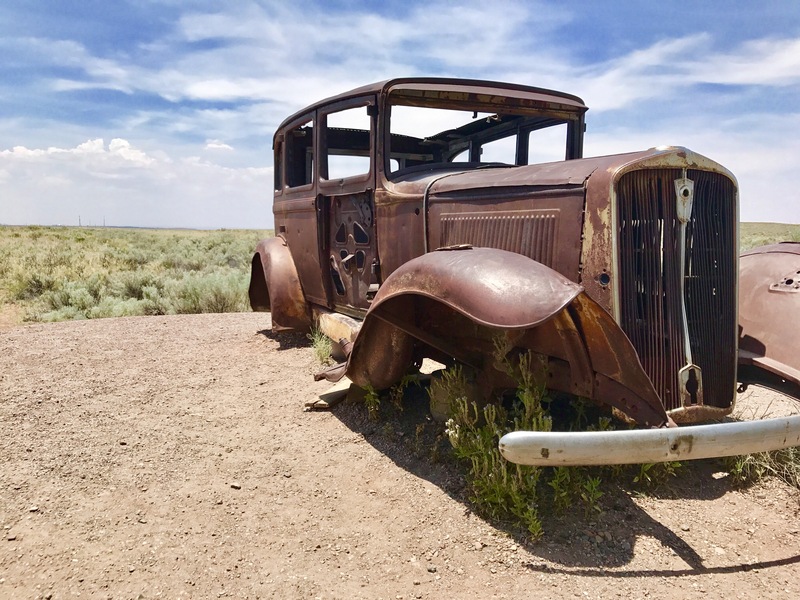 We hope you enjoy your trip to Petrified Forest National Park as much as we did. Like I said before, this park can be viewed in a few hours or you can spend several day exploring the park. Happy exploring!